Get them by the balls and lead them to whole new levels of pleasure and power play. 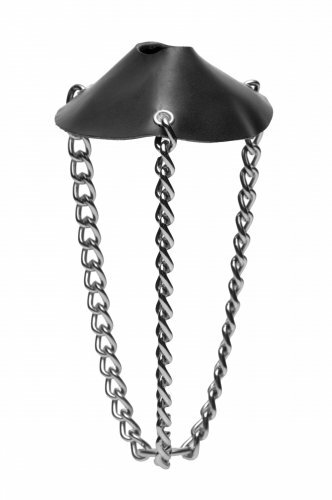 The leather parachute snaps around the scrotum, attached to an O-ring by 3 shining chains. 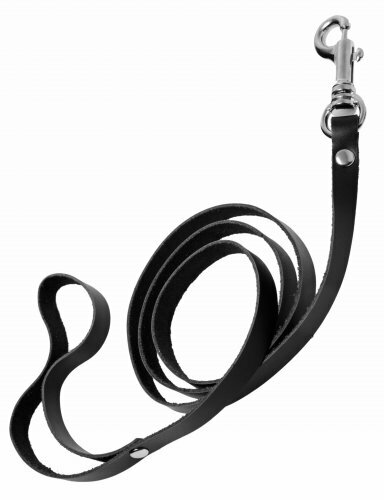 The 4 foot leather leash is topped by a snap hook, so you can attach your leash to the balls of your subject, controlling their movements with every tug. The leash also has a looped leather wrist strap, so you can get a firm grip.